Sorry if I’ve already said it but Happy Thanksgiving! I don’t think you said it previously, but even if you had that’s fine. I appreciate your good wishes. 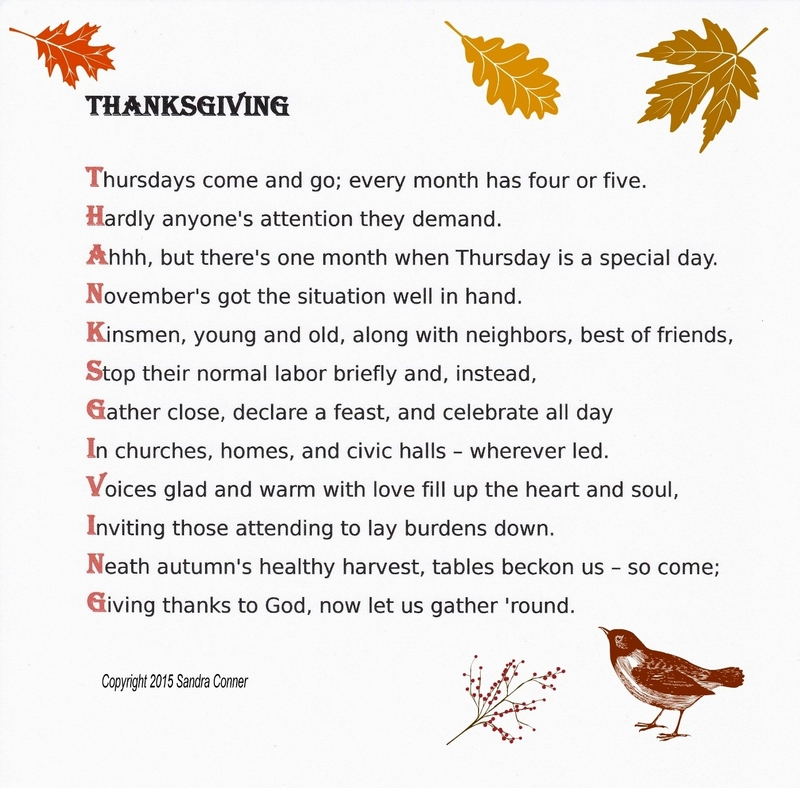 Happy Thanksgiving and Happy Special Thursday! Lord Bless you day. Thank you, and I hope you and Dan have a great Thanksgiving as well. Happy Thanksgiving Sandra. We don’t observe it here in Australia except for Norfolk Island where it was introduced by American whaling ships, or so the story goes. Thank you, Dennis. I got to spend time with some of my family that I don’t see often, and it was a good day.